RT Sport caught up with former heavyweight champion Alexander Povetkin at his training base in Sochi to talk title fights, drug tests, home comforts and "springboarding" his way to a shot at WBA and IBF king Anthony Joshua. Alexander Povetkin’s name conjures a catalogue of emotions in boxing circles. Some link his name to doping scandals, some say it has been tarnished by unprecedented attacks, but for the majority, his name still belongs in the bracket of elite heavyweight fighters. Over the past 18 months, the former WBA heavyweight champion has endured his fair share of controversy. But he has also managed to string together an unbeaten streak of seven victories against high-class opposition since his only career defeat, against long-time champion Wladimir Klitschko in a unification fight in 2011. However, several major names from boxing’s Hollywood division remain absent from his roster. 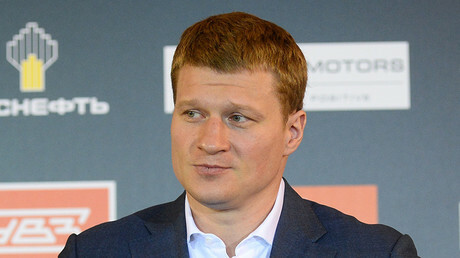 They would feature if Povetkin had not encountered a catalogue of out-of-the-ring issues with doping, which put paid to major title fights in Russia. In May 2016, Povetkin was penciled in to take on Deontay Wilder in Moscow in a defense of the American’s World Boxing Council (WBC) heavyweight belt. That bout was called off just days before its planned date when Povetkin’s doping probe showed 0.07 micrograms of meldonium. When a December 2016 fight with Canadian former WBC champ Bermane Stiverne in Ekaterinburg fell apart after Povetkin failed another doping test, this time for ostarine, the fighter was banned indefinitely by the WBC, but this sanction was eventually lifted in December 2017. 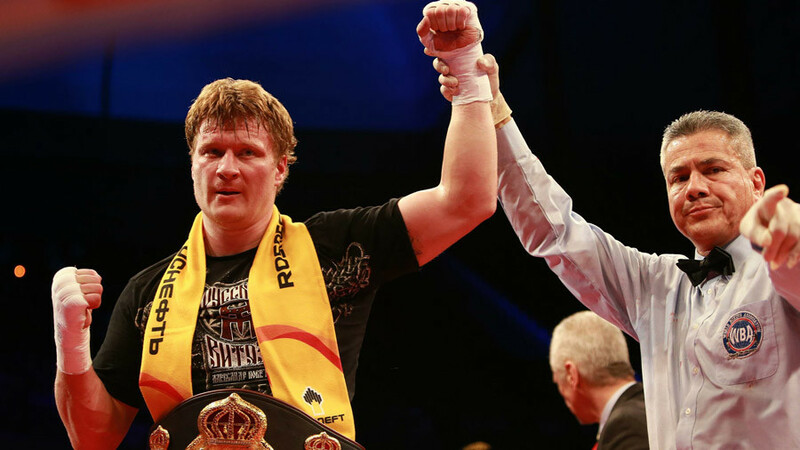 Now free to fight again, Povetkin is planning an assault on the upper echelons of the heavyweight division. The fighter nicknamed ‘Russian Vityaz’ will fight on March 31 at the Principality Stadium in Cardiff, Wales, on the undercard of IBF, WBA and champion Anthony Joshua's main event contest against WBO champion Joseph Parker from New Zealand. It was announced this week that your next fight will be against Britain’s David Price. That’s right, me and David will fight. He is a tall opponent, and I must prepare for the fight in the correct manner. Fights against big, tall opponents are my Achilles heel. I will need to work on getting in close. What can you say about your opponent? He has two knockout losses in his last six fights, one of them against Christian Hammer, who you yourself hold a win over. He wasn’t in shape for the fight with Hammer. He was fighting well, but got extremely tired. You could clearly see that he wasn’t knocked down from a punch. Maybe, there were certain issues in training. It seems remarkable, that his most recent victory was against Pole Kamil Sokolowski in a six-round fight. How can a boxer, after a six-round fight, get the chance to become a contender for Anthony Joshua’s belt? For me it’s still unclear. In the past he has fought full (scheduled 12 round) fights, I don’t understand the decision to have his last fight in a shorter format. Surely, you will be the favorite in the lead up to the Price fight. Does this put pressure on you or, conversely, help you to feel more confident? I don’t think about this. At heavyweight, any punch can be the deciding one. There’s no need to think about whether you are the favorite or outsider. This fight should take place in Cardiff, Wales. The last time you fought abroad was in 2012 when you fought Hasim Rahman (in Germany in 2012). What does it mean for you to fight overseas? I prefer fighting in Russia. Like they say, there’s no place like home. The level of responsibility increases a lot during fights at home. At the very least, I’ve done OK when boxing abroad. Until 2012, you frequently fought overseas. Why in the last five years have you decided to box exclusively in Russia? The main reason is my contract with (Russian) promotional company Mir Boksa (World of Boxing). Further to that, I always wanted to fight in my country, to help promote sport in general, and boxing in particular. Apart from my fights, a lot of fights including other well-regarded boxers – Denis Lebedev and Murat Gassiev are taking place. Lots of people watch them and they start training themselves. Why have you chosen Sochi as your training base? It’s warm and sunny here, in contrast to Moscow. It lifts your mood. Aside from that, there were a huge number of really high level sporting facilities built for the (Sochi 2014 Winter) Olympic Games. The winner of your fight with Price should meet the WBA champion – Anthony Joshua. Is that correct? Yes, the fight with Price is the ‘springboard’ to a fight with Joshua. If this fight gets made, what will be the plan for him? What weak points does Joshua have? I’m not fighting Joshua now. So we will talk about his strong and weak points later. You were scheduled to fight Wilder in May 2016, but it fell apart because of an issue with doping. Do you not want to fight him and finish what you started? I really want that fight. From his side there was too much trash. The whole situation with doping wasn’t understandable. I think next time we should send the tests to several laboratories. The first time there was meldonium found in my doping probe, which was not studied properly. It was not understandable, how much came from my body. What’s more, the results of my first doping probe corresponded to the level of allowable content in the body. Speaking about the situation with ostarine, I didn’t even know that it was a substance. For the entirety of the year the tests didn’t show the presence of doping, and before the fight it somehow appeared. That is assuming that both of these substances stay in the body of an athlete for a year. Who for you is the better fighter - Wilder or Joshua? Right now Joshua is more popular, surely, considered a little bit stronger. However, only the fight can confirm anything.